Thank you for your encouraging words.. Myself being a language teacher, find this platform of yours quite beneficial. 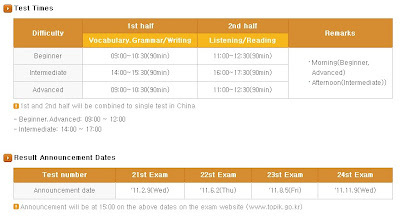 The links for online English tests, etc which you have added here are of much importance for all concerned. I’ll share the same with my students and colleagues as well. Thank you so much for your encouraging words…. 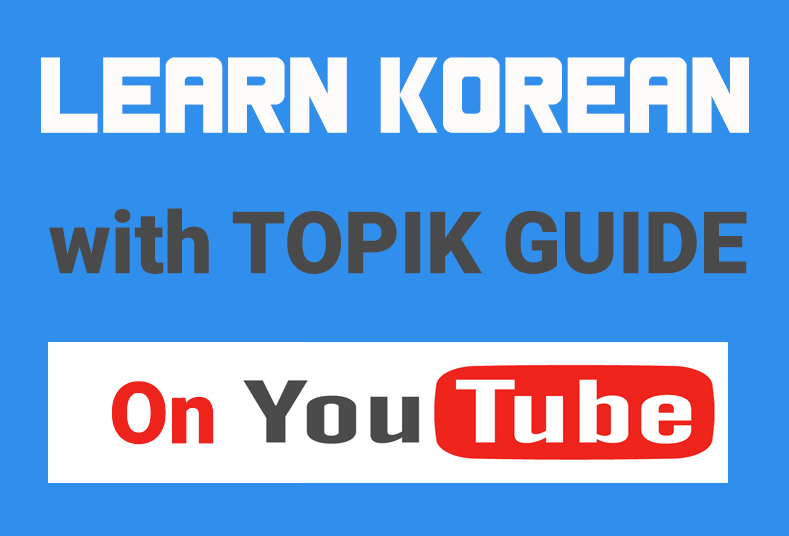 1) You will have to go to the Korean Embassy in New Delhi to register for TOPIK. You just need to carry a passport size photograph of yours. It hardly takes 15 mins and they will give you the exam admit card the same time. 2)I am sorry to say that not much ‘quality study material for TOPIK is available in market. You can find some guide books (in Korea, not in India) that contain previous papers and their solution with some analysis but I would say that the best way to prepare is self-study. For Korean Grammar, I find the book ‘Korean Grammar for International Learners’ by Yonsei University Press very useful. Online sites are good but for exams like TOPIK I would suggest you to get some authentic study material. You can refer to the Textbooks of SNU and Yonsei, Sogang and Kyunghee Univ. If you are not able to get, I can help you get it in Delhi. 3) The fees for TOPIK is Rs. 500 in India. Satishji, you have no idea how much happy I am to find your website.. I was in Korea last year and now m back in India and m preparing for TOPIK.. So obviously your website is a blessing for me. 1. Topik ke liye where do I register in India. 2. What about the study material. Where do I get it and what study material do I need. As I am not a student of Korean Language I am using some online sites for studying Korean. Are there any other books you recommend for studying Korean Language for basic n intermediate level. I have teach yourself Korean. Hi, i’m here in Korea and I want to register for the upcoming TOPIK. I’d like to be guided where can I register. Thank you so much. The next TOPIK Test will be held on 17-18th September all over the world..
Satish jee you are doing an excellent work through this website. My Salutes to you. I am interested in giving the Topik since few years but time factor never favors me. This year also I have missed the registration. Can you please suggest me the next date for which I can go to the Korean embassy to register my self for the same? It will be really a kindness on your part. you have done great job. As a student who studying in korea i really appreciate your work.. If you can give us tips about TOPIK grammar it will be really helpful. keep up your good works, thank you for doing this. hello i`m very interested in topik test now i`ve ielts score,question is if i`ve topik score what kind of university can study in korea?may i contunie my masters degree?? @Anonymous You can apply to any university… TOPIK doesn’t guarantee you selection, neither is it a necessity, but all Korean universities give weightage to TOPIK scores..